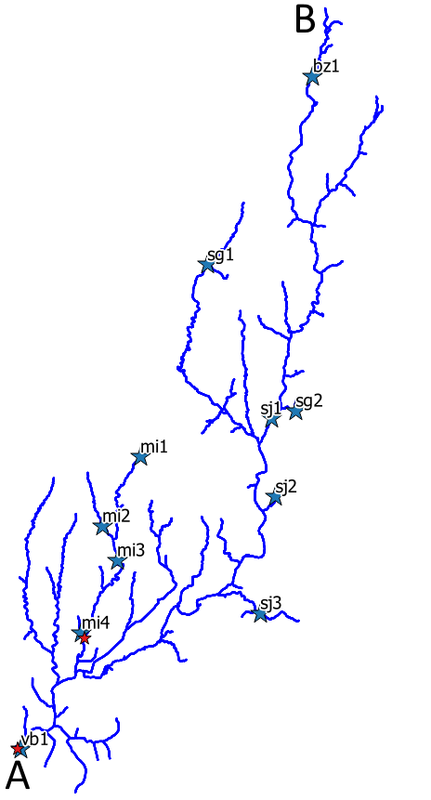 I have got a vector layer with one feature (MultiLineString) representing a river network (s. below) without bifurcations. 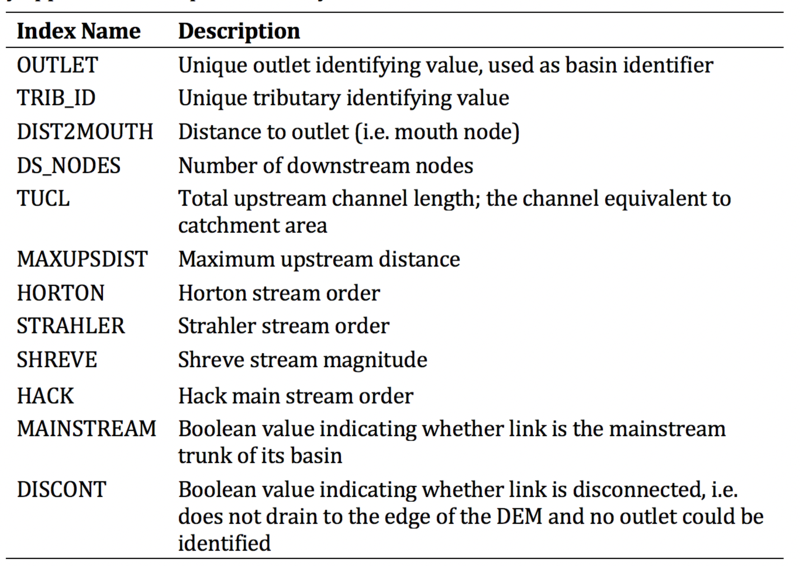 In addition there is a point shapefile containing the outlets of different subcatchments and one polygon for each of them. Example: in the following image, the length should be from A (outlet, point in shapefile) to B (should be found automatically). As the point at A is not exactly on the line, an ideal solution would replace the outlet onto the line. Is there a simple way to calculate the longest flow path (one single branch) in QGIS? The final goal is to have one length for each subcatchment. The tool isn't well documented because I am still in the process of publishing the paper related to the tool. Not the answer you're looking for? Browse other questions tagged qgis line length flow or ask your own question. Determining longest length of segmented polylines representing rivers? 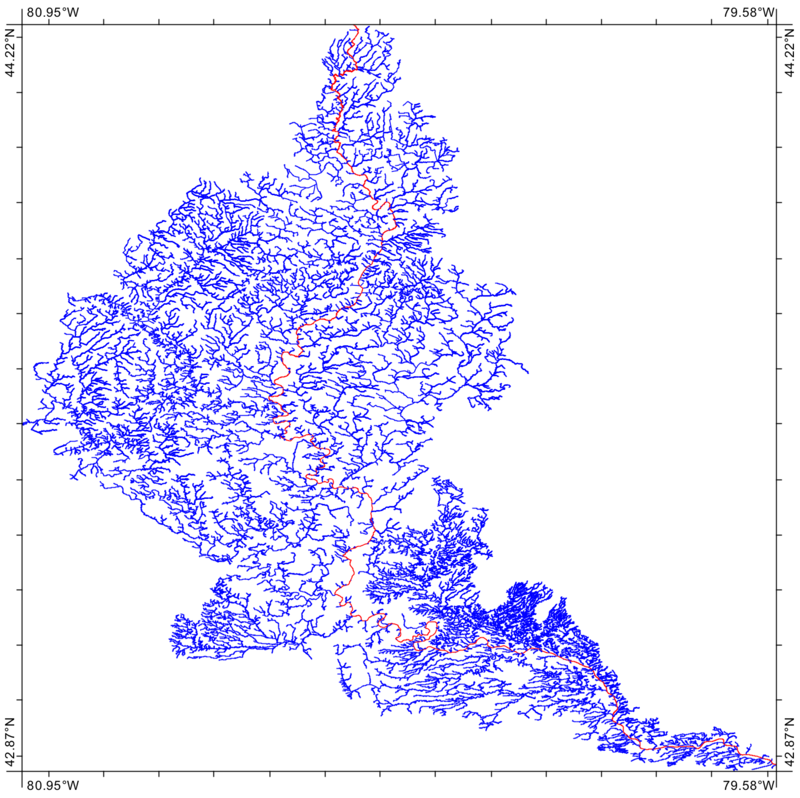 Longest route of a stream in ArcGIS? How to perform an attribute-weighted sum of multiple polyline features from a single vector layer? How to split every arc in a shapefile exactly in half? QGIS: How to find a line with defined slope starting from a point over a DEM?